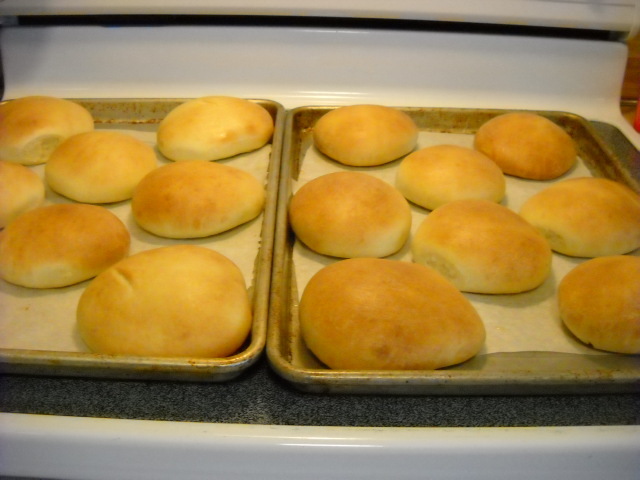 While not a ‘true’ heritage recipe, I think making your own hamburger buns ranks up there with home made bread! 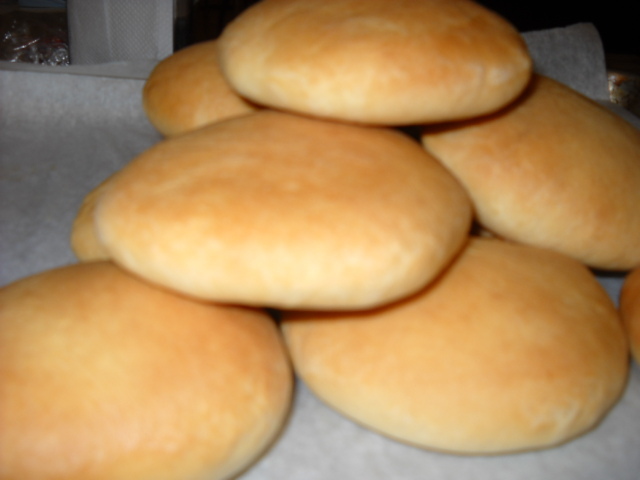 The density of these buns are heavier and therefor chewier than air puffed store bought buns. They also have a pleasanter taste. Makes 8-12 buns depending on the size you want. For hamburgers, I make the twelve count size, for sandwiches I do the eight count size. Remove dough ball and place in a greased bowl and cover it with a kitchen towel until almost double in size. 1-2 hours. (Rising time depends on telp of dough, yeast, etc… don’t rush it but don’t let it get past double in size. 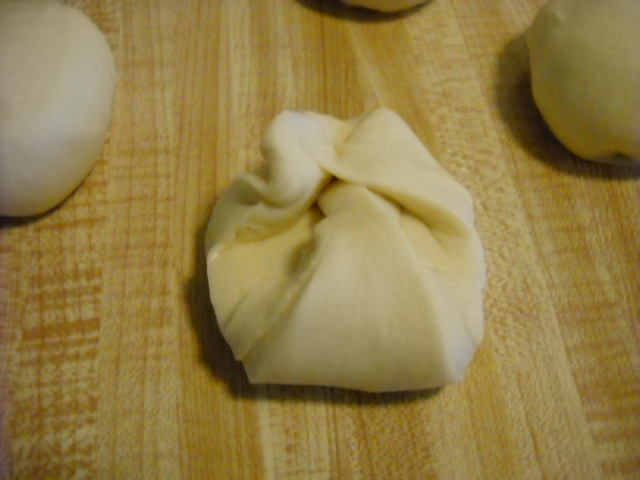 Once doubled, remove dough ball and press down lightly until it is about 1/4 to 1/2 inch in thickness. 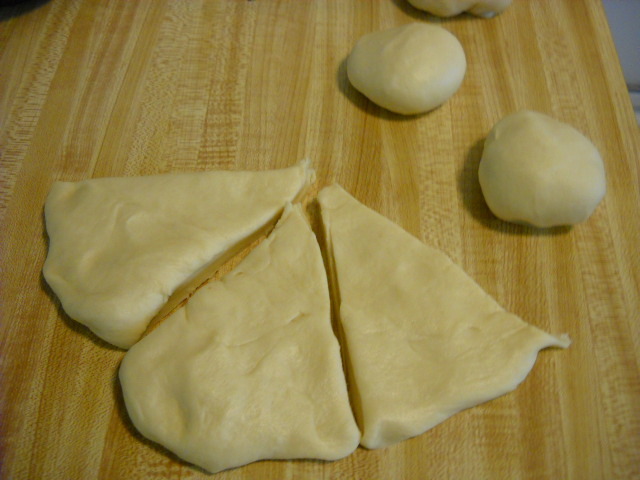 Using a knife, cut the round dough into 8 or 12 pie shaped triangles. Shape triangles into balls by pulling the three corners into the center, then continue pulling the sides into the center and pushing them deep into the rounded ball until a nice round ball without top or side wrinkles are seen. 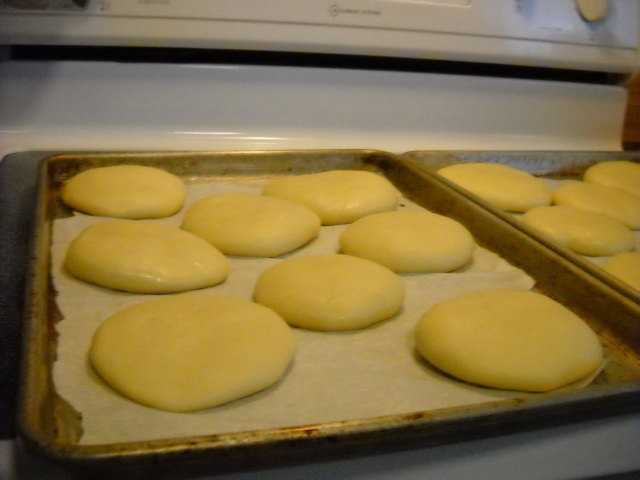 Let small rounded dough rest for 5 more minutes. 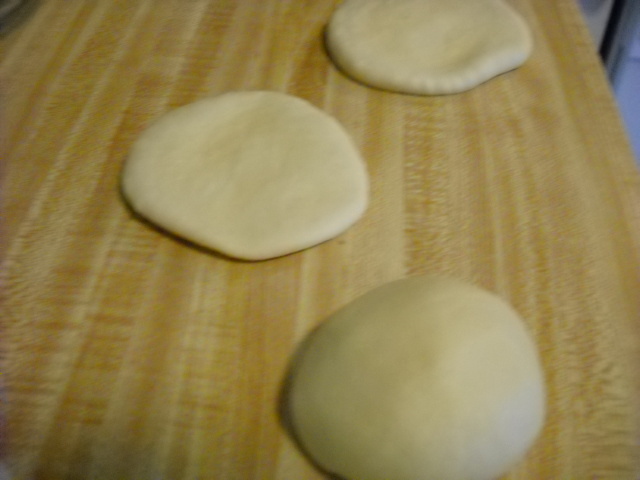 With the palm of your hand, slowly flatten and spread out the dough balls until disc is about 1/2 inch thick and a minimum of 3 inches in diameter. The 8 cut size will be over 4 inches in diameter. Preheat oven to 375* at this time. 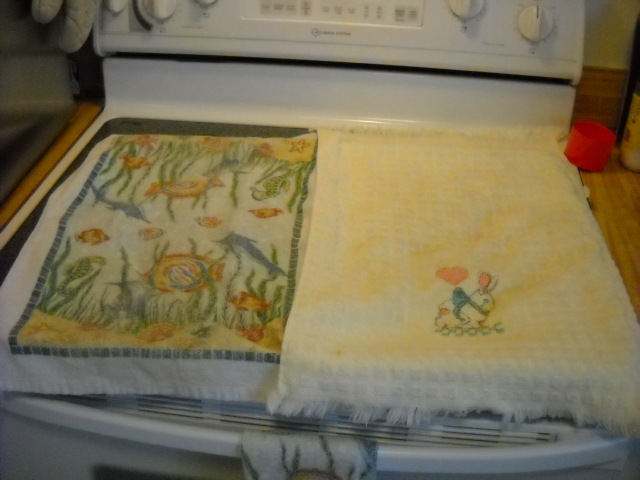 Remove from oven and brush tops again with melted butter. Cool completely and place in large plastic Zip lock bags. Refrigerate.